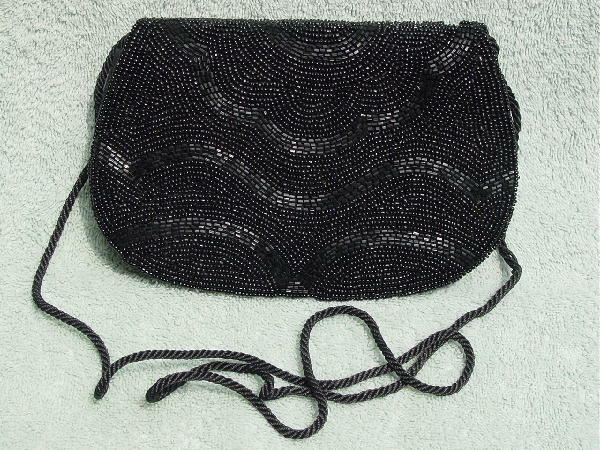 This black 100% silk purse was made in India. It has a black fabric interior and lining. There are two interior pockets with an upper gold-tone trim. It has a 43" long black cord shoulder strap. 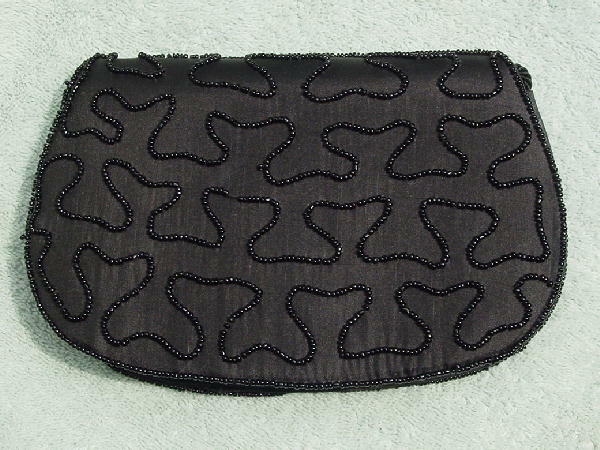 The front flap surface has a wavy lines pattern in tiny and elongated black beads. The back has an up and down line pattern in tiny black beads. She wore it to the Golden Globes Awards ceremony and afterparty.